Are you closing enough deals? Does your product or service provide a needed solution? Then we help you frame it as the solution both for your prospect AND (more importantly) for yourself. More often than not, the reason why people don't close enough deals is their own bias in the sales process. We can help identify the issue, craft a comfortable alternative, and fine tune the delivery. What makes me qualified to help in this way? I've been a musician and master of ceremonies for over 40 years and have performed for tens of millions of people all over the world. I hold multiple degrees in business and computer science. I have 30 years experience in business and engineering. I hold a teaching certificate and taught thousands of students at the Community College level as well as hundreds of private seminars. Lastly, Zenith Exhibits has successfully helped more than 2,000 businesses with their internet or tradeshow advertising efforts. There is an opportunity in every idea, but like a freshly mined diamond, it must be cut to optimum shape and polished to achieve maximum value. Click or call me today to schedule a free consultation to see if I can help you close more deal. Ed Bejarana, of Zenith Exhibits, has been our irreplaceable touchstone for over the past six years. His knowledge base in the high-tech and advertising world is extensive, and we have utilized his company to create and provide oversight of our website, launch SEO and social media marketing campaigns, manage our digital advertising campaigns, train our staff, implement technology safeguards, and even assist us in selecting IT support providers. His services were prompt and customer-based. Ed is very easy to work with and he always offers multiple options on how to best address marketing needs. He took the time to research and understand our business to craft a marketing campaign dedicated to attracting our specific client base within a realistic budget. Ed understands the concerns of the small businesses, including the need to work with limited funds for advertising and IT support budgets. Ed provides exceptional value for his services and the school has benefited immensely from our association with Zenith Exhibits. I would highly recommend Ed’s services without reservation. I have worked with Ed and Zenith Exhibits for several years now on two separate businesses asking with too many side projects and I have been nothing but pleased with the experience. Ed provides exceptional value for his services and really does it all simply by doing what he says he will do. I have paid plenty in "tuition" to other places only to learn they have no idea what it takes to provide a service. Ed is well worth a conversation and I think anyone will be pleasantly supprised how easy he is to work with. It's hard to find a guy who knows as much about as many things high-tech as Ed. He's a data-driven guy with a deep understanding of what it takes to be successful on the internet. He's organized, meets deadlines, and keeps things moving forward. He understands the concerns of the small businessman, including small advertising budgets and limited support services. With our business, he made sure that we were collecting the right information to test whether the SEO campaign he implemented was successful. He inherited a couple knotty problems and solved them, which helped clean up our business's online environment for our clients. I recommend him as a valuable resource to the small business professional. We have had an absolutely first-rate experience with Zenith Exhibits and the services that they have provided. Our school has been in business for 40 years- and in that time we have had many firms that have helped to support our website and marketing. I have to say that none of them have been more available, or adaptable, than Ed has been during the last two years. I would recommend his services without reservation, and I know that I speak for my school community as well. Zenith Exhibits is an example of customer-based service and support that is very hard to find today. The school has benefited immensely from our association with Ed and Zenith Exhibits. I asked Ed to make some needed updates to my website. I gave him free reign and told him that I was willing to have him rebuild it if he thought it was necessary. He was very conscientious about budget and finally agreed that it would be in my best interest to start over. I am extremely detailed in my work and in my analysis of everything that represents my company. When I asked about why he did something the way he did he always offered and explanation and presented me with alternate ways to do it. Ed's knowledge of marketing and SEO and web design is amazing. I love the site that he created and I am very proud to show it off. I have already given him a referral and will continue to refer him with utmost confidence that he will do a great job at a very reasonable price. Ed did a fabulous job helping our Rotary Club with their web site needs. Plus, he's a great guy! Ed is a jovial, practical, hard working professional whose work gets results. We're connected in the same professional network and the feedback I've heard about him has been uniformly excellent. It's nice to have service providers who not only do exceptional work, but are a pleasure to work with. Ed is one of the most interesting and intelligent IT people you will ever meet. Had a lot to do with the start of Yahoo and has taken his genius to the masses. My website is a testimonial to his skill. I'm a dealer/broker in Portland, OR. Ed has succeeded in making me well known in states all across this country. If you want a better experience on-line and SEO that's thru the roof...you better call Ed. Aside from his professional qualifications, which, if I were to describe them they would be a vast understatement of his capabilities and performance. He has changed thing that I have had problem with in one sentence. He is bright, articulate and knowledgeable regarding internet marketing, search engine optimization as well as helping individuals set up a physical site for the promotion of their business. Yes, I highly respect and enthusiastically recommend Ed to you. Ed has always been great with our rush timelines, understanding, and creative with our needs, and always on time with our projects. Ed & Zenith created a roll-up banner for me. He was really helpful, personable, and knowledgeable. He had the banner made on-time and sent it straight to the conference where I was presenting- super easy! He worked w/ my graphic designer to make sure she knew what file type to send. Ed has provided great and useful information for expanding business contacts and visibility on the internet. 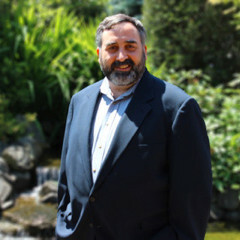 Ed has a great deal of internet marketing experience and many fantastic ideas. Thank you for a great job, I appreciate it! Ed is a true find in a world of flakey web designers. He is creative with his inovative placement of internet marketing. His websites are extremely user friendly for non-technical people like myself. He has helped me immensely in my business. The quality of his work would be a steel at twice the price, but with his market niche, it is a mistake to not use his services. Ed is creative and highly skilled. His services are of highest quality and his prices are, quite frankly, a bargain. Plus he's a real joy to work with. I will continue to use his services on an ongoing basis. Ed is very educational and well informed in his trade. If you appreciate excellent customer service complimented with exceptional product quality then Ed is your man. It is refreshing to work with a professional with exceptional communication skills and creativity. Ed brings a level of professionalism to his work that you don't see much anymore. His level of integrity lets you know you won't have to worry about your project being late, done poorly, or being something other than what you expected. I've recommended Ed to other colleagues where I work and would recommend his services again without hesitation. Ed has great knowledge and skills. He is very effective and willing to provide assistance, and direction for his clients. I also like the research data, which Ed provides. He produces results, not just promises! I would highly recommend Him for help with your website and trade show displays. He has always provided quality at an affordable rate. I think he is one of the best! Ed is a real expert when it comes to Search Engine Optimization and getting your website and internet videos found. His knowledge runs deep and his rates are very reasonable. He is easy to work with and full of ideas and insight. I plan to use him on many of my upcoming projects.